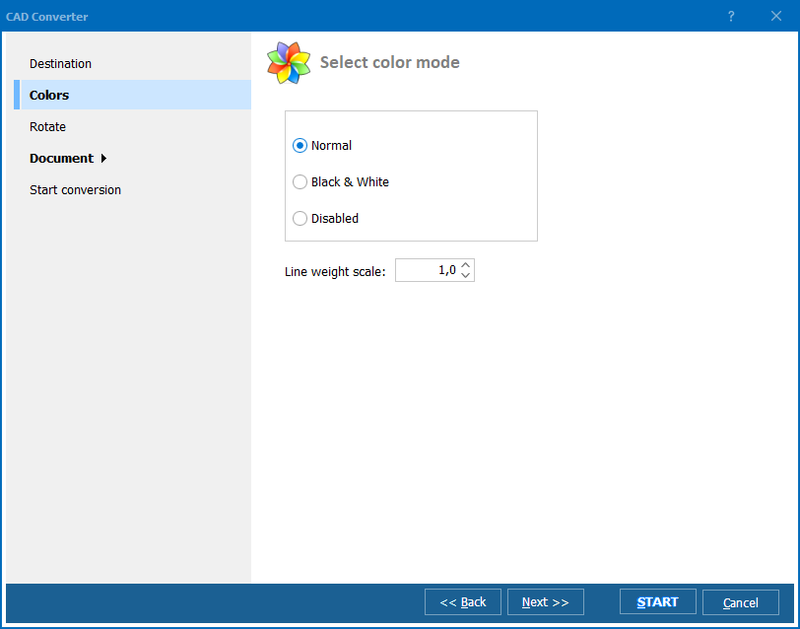 When you convert several DXF files at a time, the program suggests a lot of options. You may get the TIFF files out of each DXF file or just one combined TIFF file if you like. 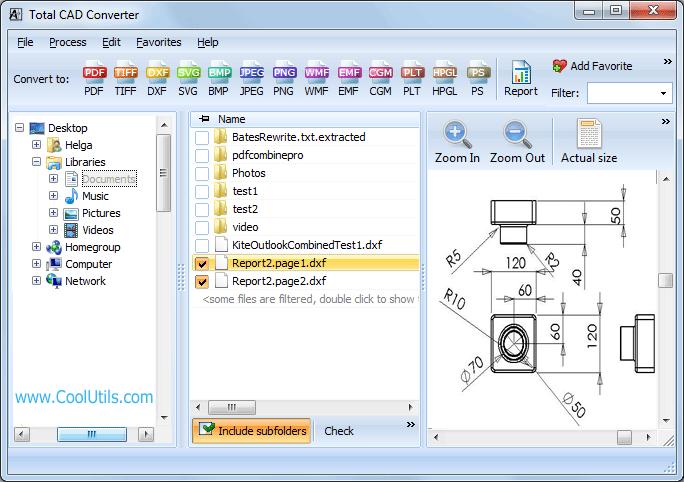 Total CAD Converter can separate files by folders. 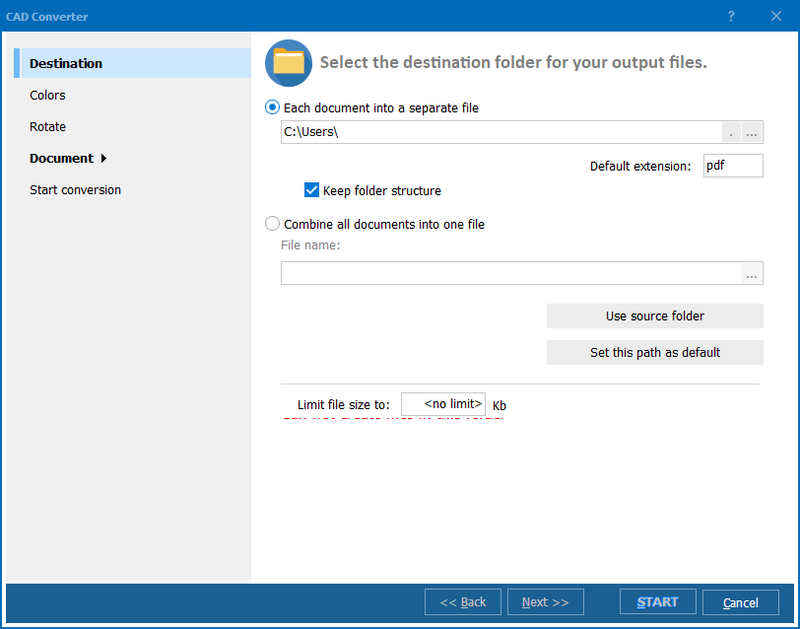 This means that it automatically combines all DXF files from each folder into TIFF files. The number of output TIFF files is equal to the number of folders. Converting DXF to TIFF you may resize the files. The smaller the files are the more suitable they are for emailing to your clients and uploading to the web. You may select the compression of the output TIFF document. 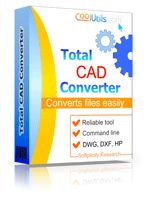 Total CAD Converter allows you specifying photometric interpretation of the TIFF files. All the settings are done step-by-step so you never forget a thing. The wizard will hint you want option to choose when you are at a loss. Total CAD Converter does not require AutoCAD. Many CAD professionals have already taken the advantage of this DXF to TIFF converter. Try it for free. The evaluation version is valid for 30 days. Press Download button to get it now. Interface languages: English, Spanish, Russian, French, German, Japanese.